IN THE MOST ANCIENT OF TIMES, PYTHIA WAS A MYSTICAL PYTHON WHO RESIDED WITHIN A HIDDEN CAVE. IT WAS SHE, AND SHE ALONE, WHO COMMUNED WITH THE GREAT GODDESS, GAIA. THIS MIGHTY SNAKE WAS SAID TO PROPHESIZE THE FUTURE AND DISPENSE DIVINE KNOWLEDGE. BY THE WAY, THIS KNOWLEDGE WAS LATER DEEMED AS FORBIDDEN AND DEADLY IN THE BOOK OF GENESIS. AS THE STORY GOES, IN AND AROUND 1,500 BCE, THE PEOPLE OF GREECE REVERED THE GREAT EARTH GODDESS GAIA AND HER DAUGHTER, THEMIS (GODDESS OF DIVINE LAW AND LATER THE WIFE OF ZEUS). THE PEOPLE WERE ABLE TO COMMUNICATE WITH THEM THROUGH THE ORACLE AT PYTHIA.. ACCORDING TO GREEK LITERATURE, IT WAS GAIA HERSELF WOULD INCARNATE INTO THE FORM OF A GREAT SERPENT IN OURDER TO COMMUNICATE WITH HER PEOPLE. SHE WAS THE ORIGINAL ORACLE OF DELPHI. SHE WAS SAID TO INHABIT A CAVE INTO WHICH MAGICAL VAPORS ROSE FROM THE EARTH. UPON INHALING THE VAPORS, SHE WOULD ENTER INTO A TRANCE AND RECIEVE THE DIRECT COUNSEL OF GAIA WHO WOULD ENTER HER BODY AND TRANSMIT HER MESSAGE. AS TIME PASSES, ENTER PATRIARCHY. THE GOD, APOLLO, A PROPHET OF ZEUS, INTO MAINLAND GREECE BY WAY OF CRETE. HE IMMEDIATELY SETS FORTH IN CONQUERING THE ORACLE OF PYTHIA BY SLAYING THE GIANT SHE SERPENT. AND, AFTER CONQUERING THE PYTHIA, HE TOOK HER PLACE AND NOW, INSTEAD GAIA SPEAKING THROUGH THE MOUTH OF THE ORACLE, IT WAS APOLLO. GAIA, FRUSTRATED AND ANGRY OVER THE CONQUEST AND BANISHMENT OF SHE AND HER DAUGHTER, COMPLETELY BYPASSED APOLLO AND BEGAN SENDING PROPHETIC DREAMS TO INDIVIDUALS. APOLLO WAS HAVING NONE OF THAT. GAIA HAD TO BE PUT IN HER PLACE, SO HE WENT TO ZEUS AND REQUESTED THAT SHE BE STOPPED. ZEUS THEN INTERVENED AND OBLITERATED THE DREAM ORACLES, THUS RESTORING THE CONQUEST AND POWER TO APOLLO. FROM THAT TIME ONWARD, THE ORACLE OF DELPHI RESIDED IN A TEMPLE, AND PYTHIA, WHO SAT ON A BRONZE TRIPOD IN THE INNER CHAMBER, TOOK THE FORM OF A WOMAN RATHER THAN A SNAKE. AND, IT WAS IN THIS SACRED CHAMBER THAT THE SPIRIT OF APOLLO WAS SAID TO OVERCOME THE PYTHIA AND SPEAK THROUGH HER. 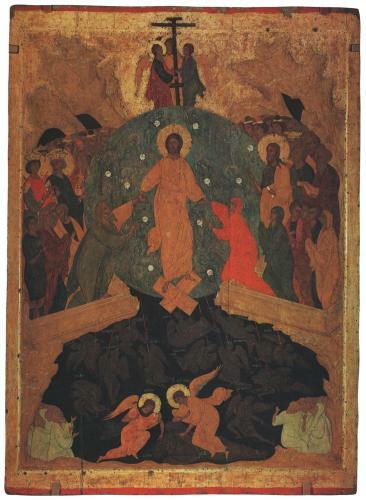 The descent to the underworld is a mytheme of comparative mythology found in the religions of the Ancient Near East up to and including Christianity. The myth involves the death of a youthful god who is a life-death-rebirth deity, mourned and then recovered from the underworld by his or her consort, lover or mother. ACCORDING TO THE "SKANDA PURANA", NOTHING IN THE VEDAS IS SUPERIOR TO "GAYATRI," THE HINDU GODDESS WHOSE NAME MEANS SINGER. ACCORDING TO ONE INTERPRETATION, THE GODDESS "GAYATRI" IS THE LUMINOUS EMANATION OF THE INFINITE POWER OF THE ORIGINAL ONE. THE GODDESS HAD EIGHT ARMS AND WAS ARMED WITH ALL SORTS OF WEAPONS. SHE WAS A PERSONIFICATION OF THE SACRED "GAYATRI MANTRA", A HYMN MADE VISIBLE. SHE IS AN INCARNATION OF THE GODDESS, "SARASWATI" AND IS THE WIFE OF BRAHMA AND MOTHER OF THE FOUR VEDAS. 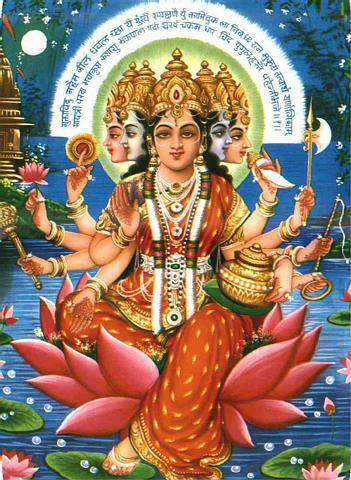 THE GREAT GODDESS "GAYATRI "GIVES ENJOYMENT AND EMANCIPATION. THIS GODDESS PROVIDES INTELLIGENCE, WISDOM, BRILLIANCE, AND MEMORY, AND PROVIDES THE POWER OF IMAGINATION THROUGH ENLIGHTENING THE DIFFERENCE BETWEEN PRINCIPLES AND ITS MEANING. THE "GAYATRI MANTRA" IS THE SUPREME MANTRA OF THE VEDAS. IT IS THE ONE "MANTRA" THAT CAN BE COMMONLY PRESCRIBED FOR ALL, FOR "GAYATRI "IS THE "MOTHER "OF THE UNIVERSE, "SHAKTI" HERSELF, AND THERE IS NOTHING SHE CANNOT DO. IT IS BOTH A MANTRA AND A PRAYER. SOME SAY IT IS THE MOST POWERFUL PRAYER KNOWN. TAKOTSI NAKAWE is the Huichol Goddess of the earth. 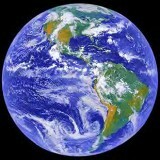 She is the mother of all of the other Gods and of all plant and animal life on the earth. Her children include Tatevali, God of fire, and the four rain serpent Goddesses, Tate Hautse Kupuri, Tate Kyewimoka, Tate Naaliwami, and Tate Rapawiyama. Takotsi Nakawe's name means "grandmother growth." Metztli (also Meztli, Metzi) was a god or goddess of the moon, the night, and farmers. 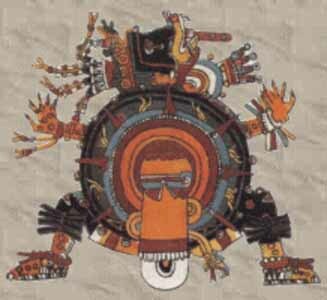 He/she was probably the same deity as Yohaulticetl and Coyolxauhqui and the male moon god Tecciztecatl; like the latter, he/she feared the sun because he/she feared its fire. Also referred to as the lowly god of worms who failed to sacrifice himself to become the sun, and became the moon instead, his face darkened by a rabbit. 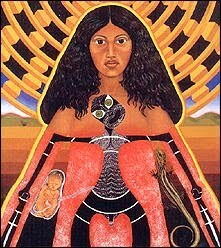 THE ANCIENT INCA REVERED "MAMA QUILLA", THE GODDESS OF THE MOON. SHE WAS RESPONSIBLE FOR THE PASSAGE OF TIME AND THIS SEASONS; THUS, SHE WAS ASSOCIATED WITH THE TIMINGS OF PLANTING THE CROPS AND THE START OF RELIGIOUS FESTIVALS AND WAS THE PATRONESS OF CALENDARS AND FEASTS. HER NAME LITERALLY TRANSLATES INTO "MOTHER MOON", AND IT WAS SHE WHO PROTECTED THEIR CHILDREN. SHE ALSO OVERSAW MARRIAGE, WOMEN'S MENSTRUAL CYCLES AND WAS DEEMED THE PROTECTOR OF WOMEN IN GENERAL. HER IMAGE WAS A HUGE SILVER DISK WITH A HUMAN FACE. She was considered to be the most beautiful of all of the Incan goddesses. THERE IS AN INCAN MYTH THAT TELLS THE TALE OF A FOX WHO WAS SO TAKEN BY HER BEAUTY THAT WHEN SHE ROSE IN THE SKY, HE SQUEEZED HIMSELF AGAINST HER PRODUCING THE DARK PATCHES THAT SHE CAME TO BE COVERED IN. LUNAR ECLIPSES WERE GREATLY FEARED AS THE INCA BELIEVED THAT BELIEVED THAT SHE HAD BEEN SWALLOWED UP BY A PUMA OR A SNAKE. IF THE ECLIPSE WAS TOTAL, THEY BELIEVED THAT THE MOON WAS PERHAPS DEAD AND WOULD FALL TO THE EARTH, CRUSHING THEM. FOR THIS REASON WHEN AN ECLIPSE OF THE MOON WAS BEGINNING, THE INCA WOULD GRAB WHATEVER INSTRUMENTS AS WERE WITHIN THEIR REACHDRUMS, TRUMPETS, CYMBALS, ETC.AND MAKE A FRIGHTFUL NOISE, AND, TYING UP THEIR DOGS, TORMENTED THEM SO AS TO EXTORT THE MOST HIDEOUS CRIES FROM THEM, IN THE HOPE THAT THE MOON, BEING A FRIEND OF DOGS, WOULD BE SOFTENED BY THEIR HOWLING AND TRY TO RETURN TO LIFE. MEN, WOMEN, AND CHILDREN JOINED WITH THEIR PRINCES IN CONJURATIONS TO AVERT THE CATASTROPHE. AS LONG AS THE ECLIPSE CONTINUED THEY KEPT EXCLAIMING, "MAMA-QUILLA, MAMA-QUILLA"! 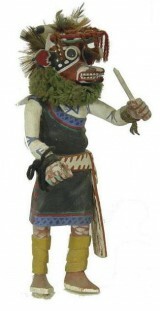 WAKAS MANA is the Hopi Kachina of cattle. She and her male counterpart act as messengers to the Rain Gods, and their song and dance are prayers to keep the cattle healthy and plentiful. After their dance, villages took feathers from their costumes to take back to their homes. Wakas Mana's name means "cow maiden." 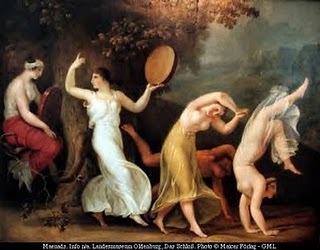 THE ERINYES (pronounced ee-RIN-ee-eez) are Greek Goddesses of vengeance. Later known as THE FURIES, there are generally thought to be three of them--ALEKTO ("the unceasing"), MEGAIRA ("the grudging"), and TISIPHONE ("the avenging"). While some sources say that they are daughters of Nyx, Goddess of night, most say that they were born of Gaia. When Kronos castrated his father Ouranos, drops of blood from the wound fell on to Gaia, and she became pregnant with the Erinyes. The sisters are depicted as wearing dark robes and having snakes in their hair, similar to a Gorgon. They live in the Underworld and receive the souls of the death after they have been judged. They purify the souls of good people and send them on their way into the Underworld, but the souls of evil people they cast into the Dungeon of the Damned, where they can torture the souls for eternity. The Erinyes also act on the earth and were called on by those who had been wronged to come and take vengeance on murderers and oath-breakers. They could punish an individual by chasing him and driving him mad, and they could also punish a kingdom that harbored criminals by causing droughts and famine. The name Erinyes (singular Erinys) is derived from a Greek word meaning "I hunt up," and they were also known as THE PRAXIDIKAI ("exacters of justice"), THE POINAI ("the retributions"), THE MANIAI ("the madnesses"), THE ARAI ("the curses"), THE DASPL^eTAI ("the horrid ones"), THE AEI PARTHENOUS ("the eternal virgins"), and THE KYN^eS ENKOTOI ("the hounds of wrath"). Those who hoped to soothe them called them by euphemisms such as THE EUMENIDES ("the kindly ones"), THE SEMNAI ("the revered ones"), and THE MEILIKHIOI ("the mild ones"). TEMAZCALTECI is the Aztec Goddess of bathing and medicine. The bathhouse, known in Nahuatl as a temezcal, was a symbol of the womb of the Goddess, and Temazcalteci was also associated with midwives and the herbs used to control women's reproductive cycles. In one of the Aztec codices, she is depicted as a bathhouse personified. Her name means "grandmother of the steam bath." "HEGEMONE" WAS A VERY PRIMITIVE GREEK GODDESS OF THE SOIL AND GROWING PLANTS, SPECIFICALLY MAKING THEM BLOOM AND BEAR FRUIT. HER NAME MEANS "MASTERY" AND STILL SURVIVES TODAY AS THE WORD FOR "SOVEREIGNTY--HEGEMONY". "ZEUS" IS USUALLY IDENTIFIED AS HER FATHER. THE IDENTITY OF HER MOTHER CHANGES WITH THE STORY, BUT SHE IS USUALLY SAID TO BE THE GODDESS, "EURYNOME. " 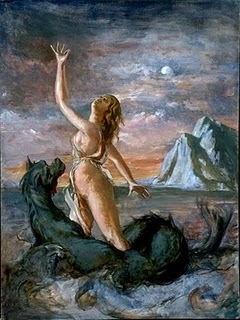 SADLY, "HEGEMONE "DISAPPEARED SO EARLY THAT NO RECORD HAS BEEN FOUND HER INDEPENDENT WORSHIP (WE KNOW ONLY OF HER AFTER SHE BECAME ONE OF THE "CHARITIES") AND NO MYTH ABOUT HER SURVIVES, AND WHILE WHAT WE DO KNOW OF HER COMES FROM THE GREEKS, IT IS VERY LIKELY THAT HER ORIGINS ARE OLDER. TODAY SHE SURVIVES AS ONE OF THE IRREGULAR RETROGRADE MOONS OF JUPITER, DISCOVERED IN 2003 AND NAMED IN 2005. The Sun was the son of Tengri and the Earth Goddess. Therefore, He circled between the two. The Turks and Mongols honoured the power and vital force of the Sun God. Huns, leaving their villages in the morning, welcomed the rising sun and bowed towards Him. Turks would turn towards the sunrise when praying. They worshipped the Sun because Tengri supervised the creation of the world by the Sun’s rays, which are but strings linking the spirits of plants to the Sun. Solar rays were considered a medium for transmitting the life force sent by Tengri to the infant. 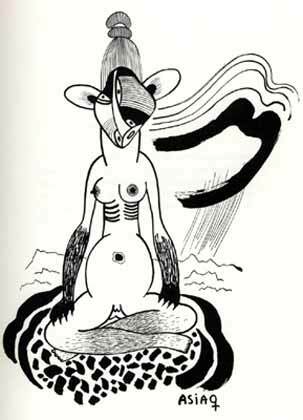 A vivid example is the legend of the birth of An-Lushan by a Shamaness, from Ashide, a noble Turkic clan. He became famous for rebelling against the Tan dynasty of imperial China. At his conception it was said that a ray of light penetrated the yurt. “The famous pra-mother of the Mongols, Alan-Goa, who belonged to the clan of Cengiz-Khan, conceived from a ray that penetrated the yurt through a smoke hole.”11 The Turks associated the Sun’s path in the sky with the flight of a fiery bird or a winged horse. Winged horses as symbols of the Sun were widely used in the cosmological myths of Turkic peoples. In addition to horses and birds, other animals (rams, deer, bulls) were also connected with the Sun. Large numbers of domestic artifacts decorated with solar symbols are found throughout Eurasia and testify to the wide distribution of the Sun cult amongst the Turks. Such images are seen in large numbers on ceramic vessels and female earrings. I am She Who enfolds the world. I am that which you seek, yet cannot name. I am that which burns within you. I am the Waters of Mystery and the Light in the Long Night. I am the Source and Consummation of all Desire. Wisdom and empowerment are the gifts of the Dark Goddess of Transformation. She is known to us as Kali, Hecate, Cerridwen, Lilith, Persephone, Fata, Morgana, Ereshkigal, Araianhrod, Durga, Inanna, Tiamat, and by many other names. Hear Me child, and know Me for who I am. I have been with you since you were born, and I will stay with you until you return to Me at the final dusk. I am the passionate and seductive lover who inspires the poet to dream. I am the One who calls to you at the end of your journey. After the day is done, My children find their blessed rest in my embrace. I am the shadowy, still tomb; all things must come to Me and bare their breasts to die and be reborn to the Whole. I slit the throats of the cruel and drink the blood of the heartless. Swallow your fear and come to me, and you will discover true beauty, strength, and courage. I am the glowing forge that transforms your inner demons into tools of power. Open yourself to my embrace and overcome. I am the cruicble in which all the aspects of yourself merge together in a rainbow of union. I am the velvet depths of the night sky, the swirlling mists of midnight, shrouded in mystery. I am the crysalis in which you will face that which terrifies you and from which you will blossom forth, vibrant and renewed. Seek me at the crossroads, and you shall be transformed, for once you look upon my face, there is no return. I am the cauldron in which all opposites grow to know each other in Truth. I am the Healer of all wounds, the Warrior who rights all wrongs in the their Time. I make the weak strong. I make the arrogant humble. I raise up the opressed and empower the disenfranchised. Most importantly, child, I am you. I am part of you, and I am within you. Venture into the dark so that you might awaken to Balance, Illumination, and Wholeness. Take my Love with you everywhere and find the Power within to be who you wish. I am the fire within your heart - the yearning of your soul. I am the hunter of knowledge and the seeker of the Holy Quest. I - who stand in the Darkness of Light, am He whom you have called Death. I - the consort and mate of She whom we adore, call forth to thee. Heed My call, beloved ones, come unto Me and learn the secrets of death and peace. I am the corn at harvest and the fruit on the trees. I am He who leads you home. Scourge and flame, blade and blood - these are mine gifts to thee. Call unto Me in the forest wild and on hilltop bare and seek Me in the Darkness Bright. I - who have been called Pan, Herne, Osiris and Hades, speak to thee in thy search. Come dance and sing; come love and smile, for behold: This is my worship. You are my children and I am thy Father. to be reborn and to return again. Thou who thinks to know Me, know that I am the untamed wind, the fury of the storm and passion in your soul. Seek Me with courage, lest you be swept away in the seeking. Seek with pride and humility, but see me best with love and strength, for this is my path, and I love not the weak and fearful. and we shall stand together guarding Her Earth as she sleeps. I am the never ending viel of night where the Star Goddess dances. Life is immortal because the living must die. and the Dark Mother and I will listen. OMECIHUATL (pronounced oh-may-SEE-wah-tl) is the Aztec Goddess of creation. Along with her twin/husband Ometecuhtli, Omecihuatl lived in Omeyocan, the highest of the heavens. There was no light and no stars, but as they walked they could sometimes see the gleam from the eyes of a monster. One day, Omecihuatl reached out to touch one of the monsters, and it turned into a star. She and Ometecuhtli touched all the monsters they could find, filling the sky with stars. With the heavens filled with light, Omecihuatl and Ometecuhtli decided to have children. 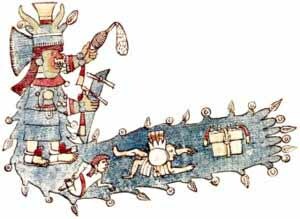 Their four sons, Quetzalcoatl, Xipetotec, Tezcatlipoca, and Huitzilopochtli, were the first of the Aztec deities. They created the earth from one of the remaining monsters. Omecihuatl and Ometecuhtli were very happy with their sons' work, and they sent drops of light to the earth to be the souls of children, a practice that they continue to this day. Omecihuatl's name, which means "Lady of Duality," is also seen as OMECIUATL. I'm sharing today a transcript of a talk about the Celtic Goddess Brighid given by Wrenn O'Neil. Enjoy! Thank you everyone. My story is about the great Celtic goddess Brighid. I say Celtic because she is part of what many people call the "Old Religion" of western Europe, including Great Britain and Northern Europe. In Ireland she is called Brighde, in Scotland, Bride; in Northern Europe, Brigantia; in France, Brigandu; and the modern day name Bridget is the Christian name for her. And there are also different ways of spelling "Bridget" as well! As you see, worship of our Mother Goddess is widespread throughout Northern Europe and it continues to this very day. Just as there are many names for her, so are there many tales about her. What I will tell you today are the most popular aspects of the mythos of Brighid. Before the beginning of the world, there existed only one being, and her name was Danu, which means "Waters from Heaven." She flowed down from the sky onto the dry, unfinished earth and created the oceans and rivers that flow all over the world. She finished her work by creating the Danuvius River (now called the Danube). Along her river, a tree grew up named B'ile, and through their union, they had a son named Dagda, which means, "The Good God." After that, Danu had more children who became good gods known as Tuatha D'e Danaan- the Children of Danu. Then, continuing the legacy, the Tuatha D'e Danaan had descendants who became the Celtic people, who, in turn, dispersed throughout Europe and into the British Isles. As one legend goes, Brighid was the daughter of Dagda and Danu, and when she was born, there was a tower of fire over her head that reached to the sky. This is one reason why Brighid's element is fire. However, many times Brighid is seen as one aspect of Danu, instead of being Danu's daughter. Brighid has been so popular in Ireland, that there was no way for Christianity to suppress her. Instead, the earliest missionaries to Ireland made up a story about a girl named Brigit who was the daughter of a Christian slave and a Druid, but she soon converted to Christianity. She did numerous good deeds so she became canonized as Saint Brigit. Essentially, all of her virtues, attributes and life events were the same as the goddess Brighid. It was merely a way of converting the Celts to Christianity. 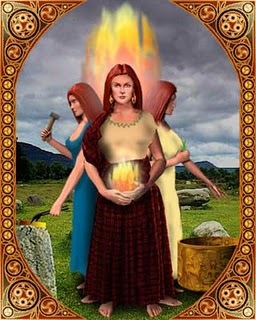 Brighid is known as the Triple Goddess, having both three forms and three specific attributes. Her three forms are of the three forms of women: first, the maiden or virgin; second, the mother; and third, the old woman or hag. This is where Brighid is seen as the Earth Mother because her three forms are inextricably related to the cycle of crops in relation to the seasons. She takes her role as a Maiden on February 1st during the Imbolc rituals, where she represents the virgin earth that has not yet been planted with crops. During the ritual a little corn doll, called the Corn Maiden, is dressed in a white wedding dress and wears a crystal around her neck. She is set in a little basket as her bridal bed, and a wand with ribbons and flowers is laid on top of her representing her husband Bress. Brighid then becomes impregnated and during Summer and Fall, she is the Mother, giving birth to the crops and ushering in the Harvest. Then, on August 1st, the Corn Maiden (now Corn Mother) is placed in a little trunk where she can rejuvenate herself to become the Corn Maiden on Imbolc the following year. Soon, winter comes and Brighid becomes the old crone, representing a land that is barren and in the process of death. But this time of barrenness must take place in order for the old crone to complete the cycle and once again become the Maiden. Thus, all three forms of women are important, even as a crone, she is still a vital and valuable aspect of womanhood. As for her three specific attributes, she is the Goddess of Poetry (also seen as a Muse), Smith craft, and Healing/Fertility. 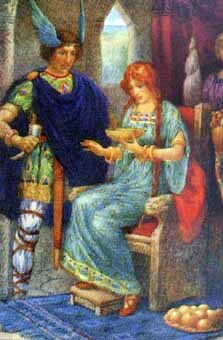 In one British legend, Merlin came in contact with Brigantia and she gave him visions of the history of Britain and then extended his vision into the cosmos and beyond. She gave the art of Smith craft to the Celtic people, which was a trade held in high esteem, as it was necessary for their everyday life. Brighid is also the goddess of healing and she has wells all across Ireland known for their healing attributes. Once, two lepers came to Brighid to ask for healing. She instructed them to go into one of her healing wells and for one to wash the other. As he did, the leprosy on the other was healed. However, when it was the healed one's turn to wash the other leper, he was repulsed by the leprosy and tried to run away. Brighid stopped him and struck him with leprosy once again, for his selfishness. She cleansed the leper who had not been cleansed and he was healed. 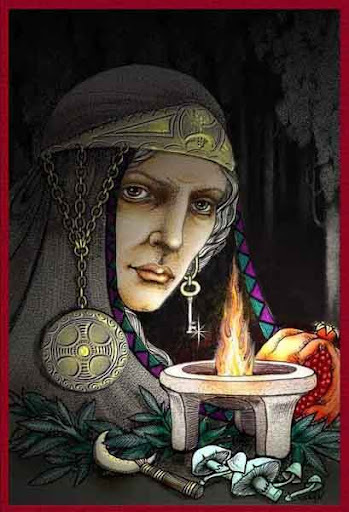 Brighid has close ties with fire and especially the fire of the house- the hearth. It is a place for the family to warm themselves, cook food and stay alive during the winter. She also has close ties to sheep and cows and is said that she watches the animals when they are out in the pasture. One story I read, told by an old Irish man, tells of how "Biddy takes care of her own" by watching over the sheep and cows during rain and mists. Biddy is a type of alteration to Brighid, so if anyone ever calls you an "old Biddy" take it as a compliment! I think it is interesting that these words have negative connotations in modern day society, but back when they were originally used, Biddy, hag and crone were simply names for old women, and not in a disrespectful or derogatory sense. I see that my time is up, so I leave you with this thought: scholars have estimated that Brighid and her mother or other aspect, Danu, are quite possibly the oldest known goddesses who have been worshipped continuously, with no break, to this day. RAN (pronounced rawn) is the Norse Goddess of storms, wife of Aegir, God of the sea. 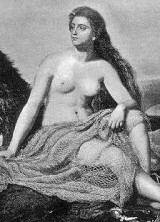 Her name means "robbery", due to her penchant for sinking ships and collecting the drowned sailors in her nets. The Norse believed that drowning victims were not admitted to Valhalla or Helheim (their versions of heaven and hell), but went instead to Ran's realm of the dead at the bottom of the ocean. Ran and Aegir had nine daughters, who were the waves in the ocean. 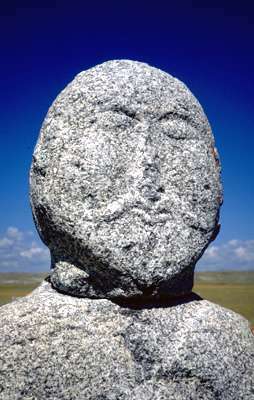 ASIAQ is the Inuit Goddess of weather. She lives on the pack ice near the North Pole. Every spring, the angakok or shaman goes to her and asks that she let the ice break up. IN THE BEGINNING, THE MOST ANCIENT OF THE GREEK GODDESSES, EURYNOME, THE GREAT GODDESS OF ALL THINGS, ROSE NAKED FROM THE CHAOS AND FOUND THERE WAS NOTHING, SO HER FIRST GREAT WORK WAS TO SEPARATE THE WATER FROM THE SKY AND LIGHT FROM DARKNESS. AND ONCE THIS HAD BEEN ACCOMPLISHED, SHE BEGAN TO DANCE ACROSS THE WAVES, THE BEAUTIFUL SENSUAL DANCE OF CREATION. AND AS SHE WILDLY DANCED TOWARDS THE SOUTH, SHE SET IN MOTION BEHIND HER TO THE NORTH A WIND THAT, LIKE CLAY, COULD BE CAUGHT IN HER HAND AND MOLDED INTO A LOVER, OPHION. AND AS SHE CONTINUED TO DANCE, WHIRLING FASTER AND FASTER, OPHION WATCHED AND WAS DRIVEN TO LUST. HE COILED HIMSELF AROUND HER ARMS AND HER LEGS, AND SHE THEN MATED WITH HIM, GIVING BIRTH TO THE UNIVERSAL EGG FROM WHICH LAND, PLANTS, ANIMALS, PLANETS, THE SUN AND THE MOON SPRANG. IT WAS AT THIS POINT THAT THE GREAT MOTHER ASCENDED TO THE TOP OF MOUNT OLYMPUS TO WATCH OVER HER CHILDREN AS THEY BEGAN TO TAKE SHAPE. OPHION FOLLOWED HER, AND ALL WAS WELL UNTIL HE BEGAN BOASTING THAT HE, IN FACT, WAS THE CREATOR OF ALL THINGS. ENRAGED, EURYNOME KICKED OUT HIS TEETH AND CAST HIM OUT OF HEAVEN INTO THE DARK REGIONS OF THE EARTH. SHE THEN WENT ABOUT HER BUSINESS BY CREATING THE FIRST PEOPLE, THE PELASGIANS. 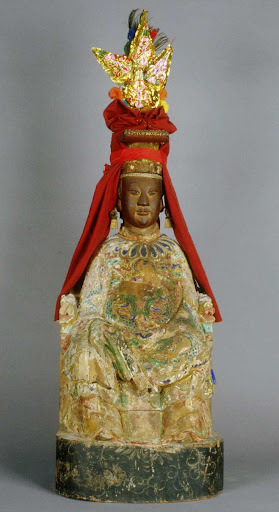 TIEN-HOU is the Chinese Goddess of fishermen. She was once a mortal woman named Lin Moniang with four brothers who were all sailors, each with his own ship. One day while they were at sea, Tien-Hou fell into a coma. Her mother tried to revive her and eventually succeeded. Tien-Hou protested that she had been awakened too soon. Later that day, three of her brothers returned home, saying that their ships had nearly been destroyed in storms at sea, but that a vision of Tien-Hou had appeared to them and led them to safety. The fourth brother never returned, for Tien-Hou had been awakened before she could save him. Ganesha is India's cutest god. He has the head of an elephant on which is perched a dainty tiara, four pudgy hands joined to a sizeable belly with each hand holding its own symbolic object. One has a trishul, or a trident, the second, an ankush, or goad made from his very own broken tooth, the third hand elegantly holds a lotus and the fourth a rosary (which is sometimes replaced by modaks - his favourite sweet). His appetite for sweets is legendary and offerings of them are often left at his shrine. 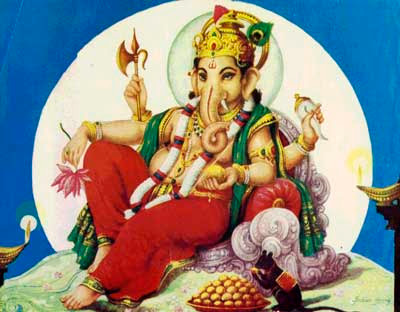 Ganesha is famous not only for being a trickster and for his sense of humour, but equally for his wisdom. He is the son of Shiva (Destroyer in the Hindu Holy Trinity of Creator-Preserver-Destroyer) and Parvati (Shiva's consort). The chubby, gentle, wise, elephant-headed Ganesh, or Ganesha, is one of Hinduisms most popular deities. He is the remover of obstacles, the deity whom worshippers first acknowledge when they visit a temple. He is also patron of letters and of learning; he is the legendary scribe who, using his broken tusk, which he often holds, wrote down parts of the Mahabharata epic. He owned a mirror (Itlachiayaque - "Place From Which He Watches") that gave off smoke, killing his enemies; he saw everything and he punished wrong doers with illness and poverty, and rewarded good people with wealth and fame. He was the antithesis, rival, and eventually the twin of Quetzalcoatl. It was thought then when a baby was conceived, it was placed there by Tezcatlipoca to decided it?s fate; the day you were born on prophesised the success or failure in your future. How the child looked was also attributed to the whim of Tezcatlipoca. It was thought that he would appear at night as a shrouded corpse, a bundle of ashes or a headless man with his chest and stomach slit open, and anyone who was brave enough to rip out his heart could demand a reward for returning it.